MAKE SURE YOU SPOT THE SIGNS OF PYOMETRA! Our cats and dogs might often be our best friends and our closest companions. There’s very little that we wouldn’t do for them! Many pet owners love heading out for magical adventures with their beloved pooch or moggy and think of them as part of the family. As much as we love them and try to look after them, from time to time our pets can succumb to illness. At some point on their adventures in life, there is a chance that your female cat or dog could succumb to a uterine infection called pyometra. At The Insurance Emporium, we want to help you keep your animal happy and well! That’s why we spoke to our pet health expert for some advice on pyometra. Put simply, pyometra is the medical term for a uterine infection. 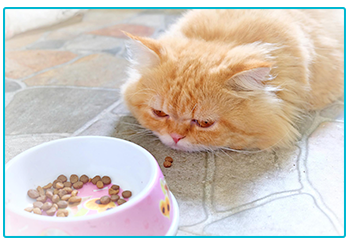 It can occur in female cats and dogs that haven’t been spayed. However, it is most common in dogs. The risk of developing the illness can differ between breeds and could happen at any age, regardless of whether they have bred or not. Open pyometra takes place when the cervix is still open whereas closed pyometra means the opposite and might remain within the uterus. Closed pyometra is potentially fatal for pets. The main risk period can be in the eight weeks after her peak standing heat has ended, as during this time the cervix begins to close. If you notice a visible discharge of a bloody substance from your pet, this could be a tell-tale sign of the illness. It can happen due to the fact that the cervix is open. When it comes to closed pyometra, the symptoms might be a little bit harder to spot. Due to your pet having a closed cervix, the infection remains within the uterus and, as a result, there aren’t any visual signs that there is a problem. Clinical symptoms might vary and could include lethargy, lack of appetite, increased thirst and vomiting. It can potentially be brought on as a result of some hormone injections, however there are many factors that can lead to the development. Always check with your vet if you’re unsure! The infection can put your pet into septic shock, meaning that they might need intravenous fluids and antibiotics, prescribed by your vet. Due to the thickness of the pus, most injected or swallowed antibiotics might fail to penetrate the fluid successfully. If this is the case then the vet must choose a further course of action to rid your pet of the infection. 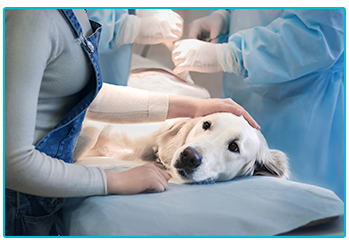 A complete ovariohysterectomy, more commonly known as spaying, is often the quickest and most effective way of removing pyometra from your pet. In most cases, this also means that reoccurrence can be completely prevented. Pyometra is most likely to affect female animals that haven’t been spayed, however there is still a threat for those that have had their uterus removed. Stump pyometra can become a serious health condition and might go undiagnosed. This ailment occurs when the remaining stump of the uterus becomes infected and filled with fluid. Due to the fact that the animal has previously been spayed, pyometra could be discounted and therefore it may cause issues in diagnosis. The risk of this condition can be significantly reduced if there is no tissue left following on from an ovariohysterectomy. Pyometra can be an unpleasant illness for your pet but if you are aware of the symptoms then you could help to ensure that your pet pooch or kitty stays happy and healthy! 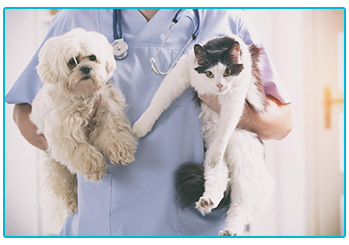 If you do have any concerns about the health of your cat or dog, make sure you take them to see a vet as soon as possible!